Some of the GCC states have come out with their 2014 budgets and that too with record surpluses. This reflects the relative stability of oil prices at higher levels and which has fuelled the standard of living prevailing in these societies. The increased budgetary spending ranges between 4.3 and 5 per cent, and reflects the implementation of major new projects, the diversity in public services offered and the consistent emphasis on infrastructure development. It could be that the volume of actual spending would exceed by the end of this year the estimates announced at the beginning of the year due to the rise in financial obligations. In earlier years too, the actual spending has overshot projections by between 5 to 19 per cent. The UAE’s budget announced for the year is Dh46 billion ($12.5 billion), with the exception of local budgets, while Saudi Arabia announced a standard budget of 855 billion riyals (equivalent to $228 billion). The declared budgets for Oman and Bahrain are $51.5 billion and $5.3 billion respectively, while Qatar and Kuwait are expected to declare theirs in early April. The significant growth in spending reflects the strength of economic conditions in GCC countries. 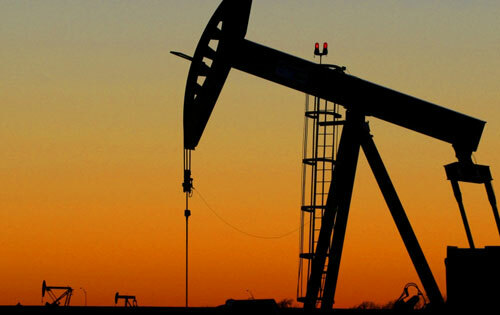 But it does constitute a challenge in case it continues to rise at current rates, especially since oil revenues make up 93.3 per cent of Kuwait’s budgetary revenues and 90 per cent of Saudi Arabia’s. In the UAE, the contribution of the oil sector to budgetary revenues at 58 per cent of 2014’s projected revenues — is lower, which reflects the progress from the diversification of the federal government’s sources of income. Concerns regarding the reliance on oil revenues stem from the possibility that prices may fall in coming years from economic and geopolitical reasons. One of the reasons is the increased production of shale oil, especially in the US. Its production may not have a huge impact on oil prices because of the higher cost of production, but it will still impact supplies from Opec member countries. Additionally, easing sanctions on Iran after an agreement with the US and the possibility of increased oil production in Iraq by a margin of up to 100 per cent may affect supplies from other oil exporting countries in the Gulf and beyond. Gulf states’ budgets will be impacted differently from one country to the other. The UAE, Saudi Arabia, Qatar and Kuwait have achieved large surpluses in past years; $55 billion in Saudi Arabia during 2013 and $45 billion for Kuwait, while the budgets of Oman and Bahrain achieved some form of balance or a lower deficit. This year, budgets have been calculated with sharp variations in the oil price forecasts, ranging from $65 a barrel by Qatar to $105 in Oman. Oman’s budget may suffer a deficit for the year due to expectations of a possible decline in the average price of oil to less than $100 a barrel. In anticipation of that, Oman has announced the possibility of selling some foreign assets or borrowing from international markets to repay the expected deficit. Oman may easily cope with this development in the present, but the continuation of oil prices at less than $100 a barrel will be a burden on the country’s budgetary planning. Therefore, the best solution is to work quickly towards diversifying sources of revenue and reduce reliance on oil revenues. The UAE’s experience is highlighted by what Dubai has achieved in that oil does not constitute more than 5 per cent of its income. The rest of the GCC can make use of this experience to develop alternative revenue sources while maintaining the yields on their overseas investments which constitute additional support for state incomes.